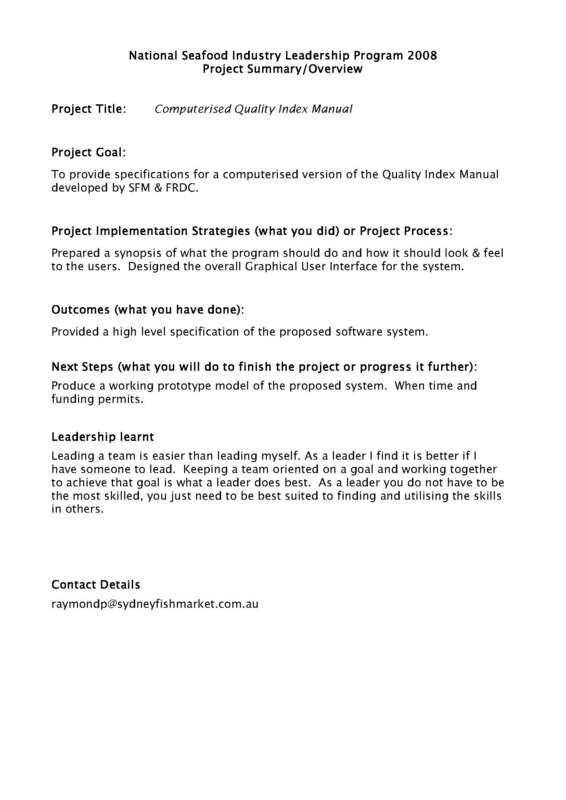 Project Goal: To provide specifications for a computerised version of the Quality Index Manual developed by SFM & FRDC. Project Implementation Strategies: Prepared a synopsis of what the program should do and how it should look & feel to the users. Designed the overall Graphical User Interface for the system. Outcomes: Provided a high level specification of the proposed software system.